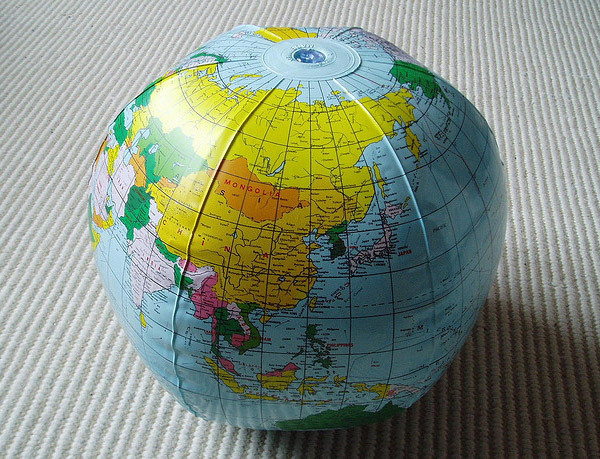 Let’s assume visitors are coming from 10 different countries all over the world: United States, Canada, Mexico, United Kingdom, Germany, France, China, India, Australia and Philippines. For the example, we will take India in particular. 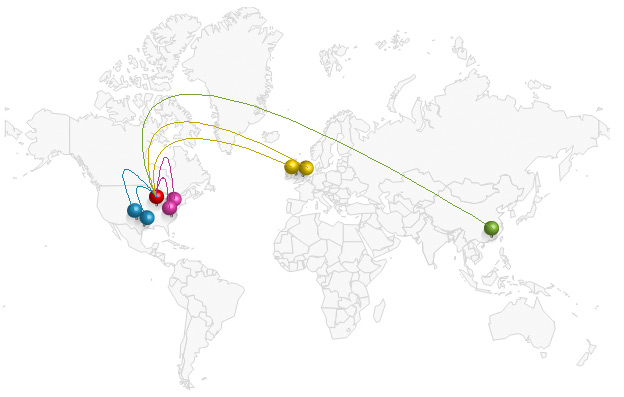 The primary web server of Invoicebus is located in Chicago, Illinois, US in the ORD1 Datacenter of Rackspace. That means all requests should be propagated thorough dozens of routers around the world, so the package from India can reach the server in the US, and then return way back home. Transferring such data over TCP/IP (read Internet) from India to US can take a while, even though this time is very short and usually expressed in milliseconds. However, when we multiply this time with the total number of requests, the delays can be drastic. There’s a chance some packages to be lost on long distance routes, so resend will be needed, increasing the overall transfer time. There’re also other factors like intercontinental network congestion during busy hours that contribute for these delays. That’s when CDN comes in game. So when you deploy your files on CDN, the content will be retrieved from different servers in that CDN network all over the world. That means the users from India will request the files from the local cache in the nearest geo-located CDN server, and not going all the way to US. That’s why the content can be retrieved goddamn fast, leaving the primary server less engaged, so can easily deal other jobs. We tested all pages from Invoicebus site, but to simplify the post, we will describe what happened with the login page which actually is pretty lightweight with only 160KB, including all the code, images, CSS and JS. What we put on CDN from that page was the bus mascot image, a few JS scripts and the global CSS file, or to be precise we distributed content of 102.6KB in total. Our plan is to optimize the whole app even more, so everything loads blazing fast, nearly as a native desktop app. Please let us know if you have any suggestion or request, we would like to hear from you. You can reach us on twitter whenever you like. We’re always by our laptops so will get you back in seconds. In different countries the currency symbol placement can differ, so can be placed either from the left side or from the right side of the number. 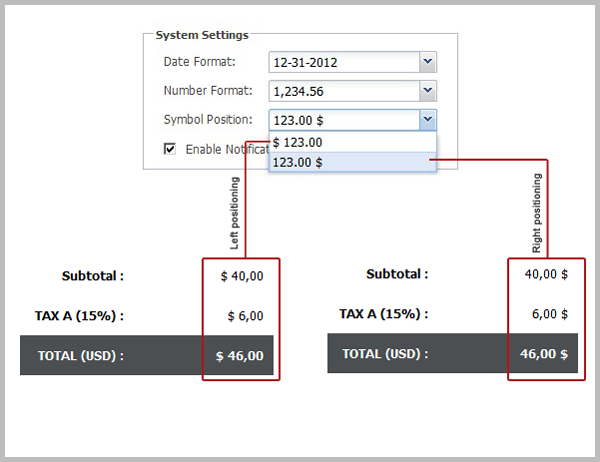 That’s why we implemented global option so you can set how the symbol appears on your documents. The option can be managed from System Settings which are global for the whole system. Note: Modification of the system settings does not affect previously saved documents. 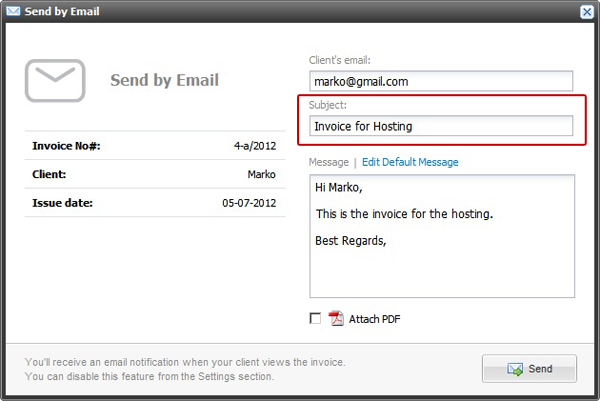 Instead of the predefined subjects that your clients usually see (“Incoming Invoice”, “Incoming Quote”, “Payment Reminder”, “Thank You Note”), from now on you can enter your custom subject line, so your message can be more descriptive, and of course in a language of your choice. If you have any suggestion for future update, please let us know. We’re eager to hear your thoughts. We love Mondays, we really do, especially those when we launch new feature. The last one was one of those. 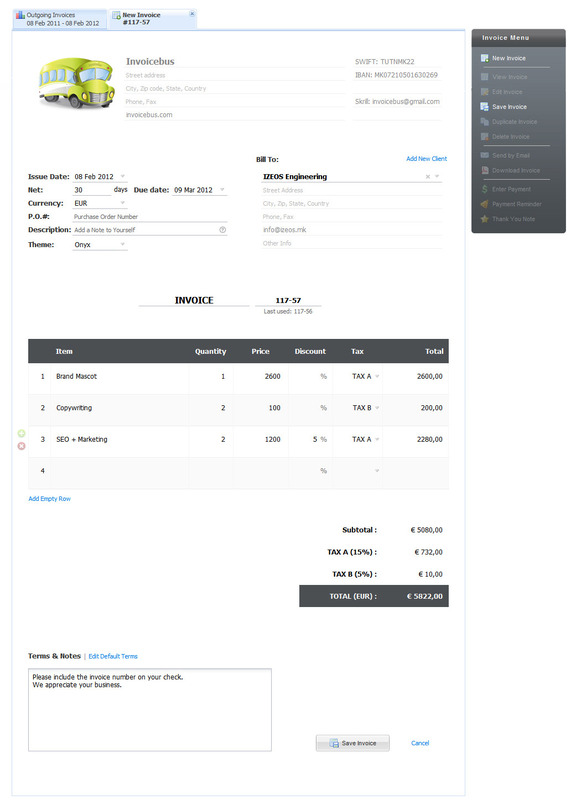 We’ve introduced another great option as an answer to many requests from our users about localization of the invoices and customization of the field labels. The localization of the invoices has been planned from the very beginning, but was not ready for the initial release, so we postponed a bit. The implementation was planned to be with combo box, so the user can switch among multiple languages. 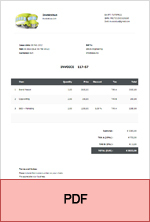 In the meanwhile, we’ve received numerous requests from our users about invoice label customization, so we came up with another idea. 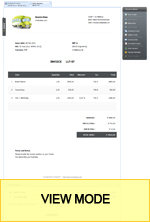 Instead to translate the invoice in various languages, we decided to make the labels fully customizable so the user can enter any text he likes in any language. 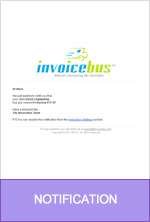 And yes, Invoicebus automatically save it for future re-use. Here’s an example with custom labels. If you have any suggestion or feature request, don’t hesitate to give us a shout. We’d love to hear from you and consider it as a future update. 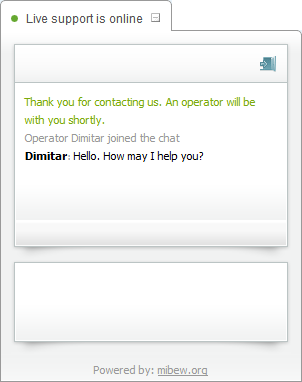 We are using this wonderful open source live chat platform http://mibew.org, and so far we tested it and prove itself as one reliable and fast live support platform. 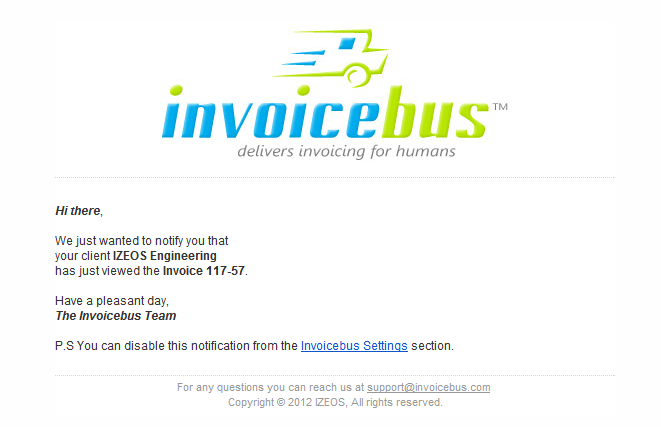 But the Live Support is not the only new thing at Invoicebus. 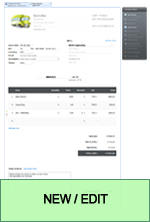 As some of you already noticed we have slight improvements in other parts of Invoicebus like the new navigation bar at the top and the overall website copywriting. So let have a chit-chat and tell us what you think about that. 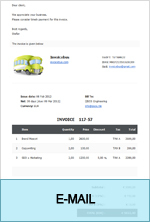 Launching you favorite invoicing software Invoicebus has never been easier, straight from your desktop. 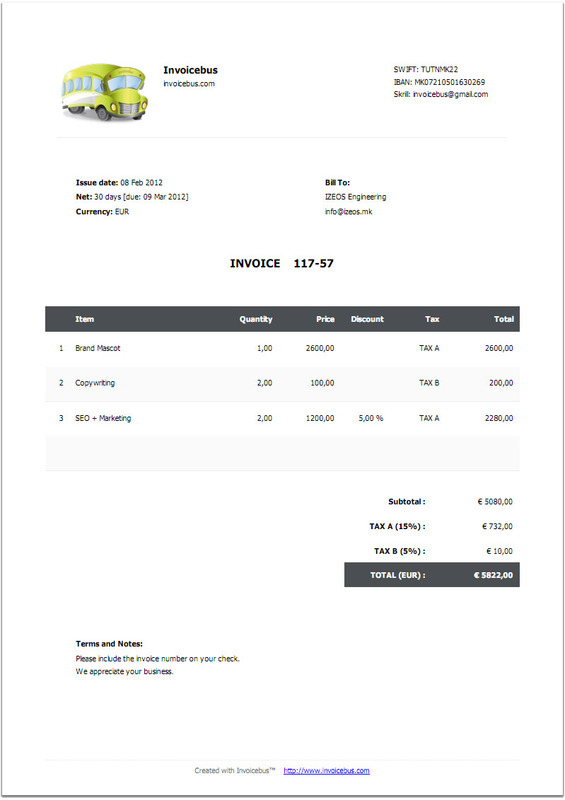 First let see how Invoicebus is started in "conventional way", and after that I will show you a little trick how you can speed up the launching. 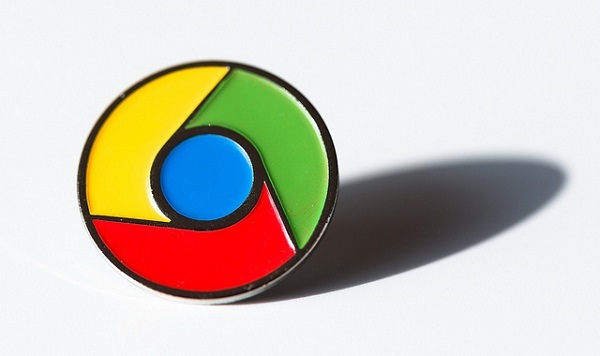 As you can guess everything starts with a browser, and I’ll share with you that Google Chrome is my personal favorite, so let launch it. 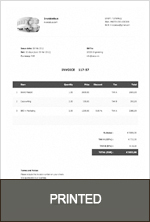 In the Chrome address bar, also known as "omnibox" we enter invoicebus.com/login. Go to the login screen in Invoicebus, enter your username and password, and don’t forget to check "Remember me". This will save a cookie on your computer so you won’t need to enter your username and password all the time you launch Invoicebus. Note: If you’re using shared computer don’t check "Remember me" option otherwise the security and confidentiality of your invoices may be jeopardized. Now go to Tools, and select the first option from the menu – Create application shortcuts. 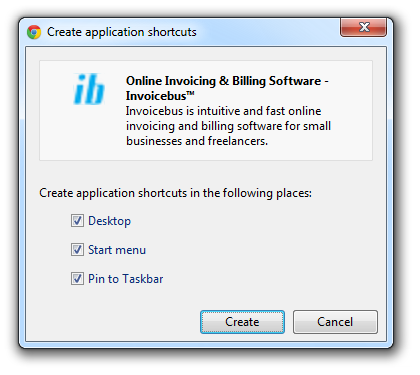 Check the locations you want the Invoicebus shortcut to be placed and click Create. 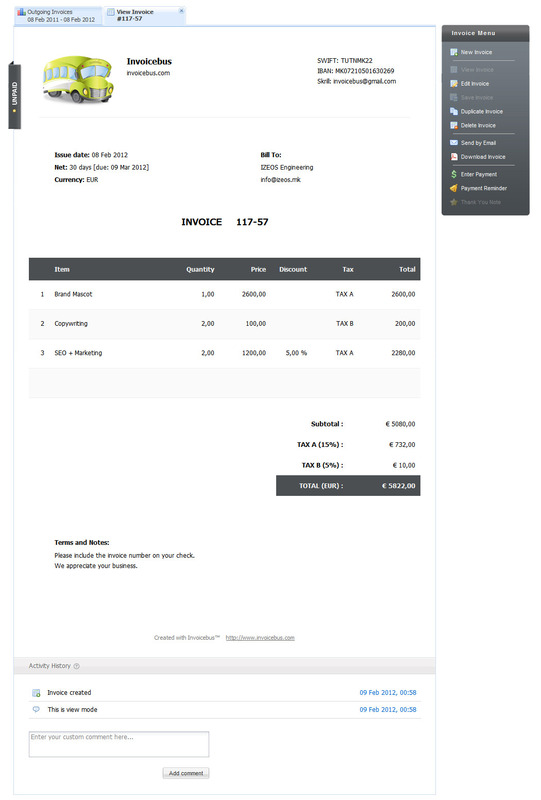 Voila, now you can start Invoicebus straight form you desktop or taskbar. Do you know other tricks of creating "desktop" web applications? Come on, share them with us – would love to hear from you. The email addresses are not always stolen by leaving footprints on other sites. In most cases, they are stolen directly from your own web site. 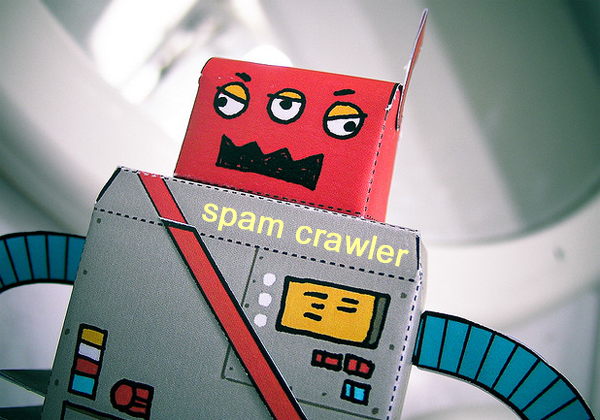 Spam crawlers are automatically programmed bots that steal your email address from the web by various mechanisms and use it in bulk email or other purposes usually referred as spam. This process is also known as email address harvesting. Contact details, terms and policies, about pages and pretty much everywhere on your site where you publicly expose your email address, is a great resource for crawlers. and searching the href=”mailto:” attribute inside. There’re few workarounds for protecting email addresses and you’ve probably seen solutions like displaying the email in format: info (at) invoicebus (dot) com, embedding the email into an image, implementing contact form etc. However, in all cases you don’t get clickable email link, so here we’re going to use a little hack. Beside the href=”mailto:” attribute, the spam crawler scans every HTML code that contains “@” sign, so can easily figure out and extract the actual email address. Our objective is to keep the crawler task difficult as much as possible. In fact, we’ll programmatically hide the email address behind variable and dynamically print it in run-time, exactly when the page is rendered by the browser. The crawler won’t be able to find it anywhere in the code. How to assign a value to the variable so to the crawler couldn’t see it? we can assign the value sequentially in two steps by concatenating strings. You can even write your own JS function that transforms the letters with custom pattern, but for now I’ll stick to the basics. Note: Some spam crawlers can extract the email address even HTML encoded. I quickly wrote a simple HTML ASCII encoder that can be used to encode your email addresses or any text you want. There’re couples of other methods available, but I believe these two are the most effective ones, so far. It’s up to you which one you’ll choose. For us, JS method works pretty well. A little effort and a few lines of code on your site will save you from tons of unsolicited and junk email later. Now let me hear your thoughts on it. Have any suggestions of how to improve these methods, or maybe some others we haven't heard about? One of the most critical part of Invoicebus is the payment processing of your purchases, but don’t worry we have that covered for you. 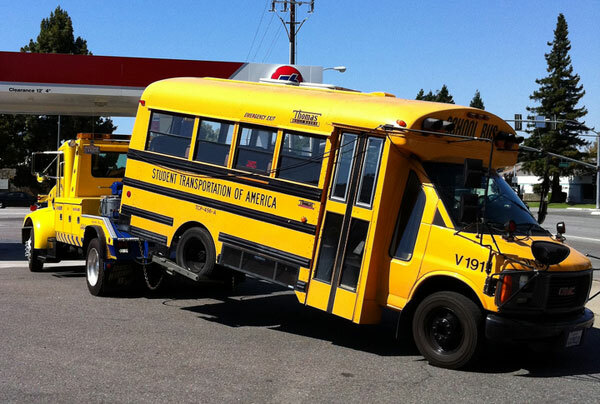 Update: Since March 11th 2013, Invoicebus has switched to 2Checkout.com as an authorized payment processor. Read more here. Invoicebus is built to make you feel comfortable while doing your business, as we shown you with our previous security posts. First and foremost we have to emphasize that for processing payments we’re using third party payment processor gateway Moneybookers (soon to be rebranded to Skrill), so that means your financial transactions are secure and Invoicebus don’t have a clue about your credit card information. Skrill is the most famous European payment processor with headquarters in London, UK; have over 24.5 million users at the time of writing this and is still growing with about 100 000 new users every weak. At the end funds from your e-wallet are sent to Invoicebus Skrill account and you are redirected back to Invoicebus where you can continue making invoices. TIP: When you are making online payments never forget to check the URL for secure data transfer with SSL. Checking this is very simple, just see if your browser address bar starts with https. The Invoice Editor is the most powerful tool of Invoicebus, designed to provide users with highest degree of interactivity during the invoice creation process. The main concept here is to rid of all separate management pages, screens, pop-ups, back and forth navigation, page reloads; and instead, to integrate all assets on the same page, accessible exactly when and where you need. 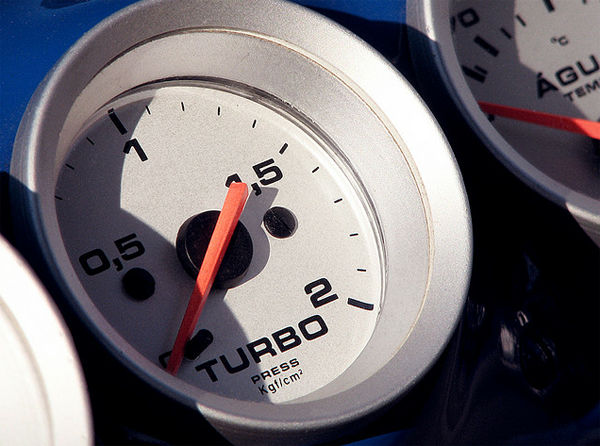 The result is uninterrupted workflow experience with significantly increased speed and focus. 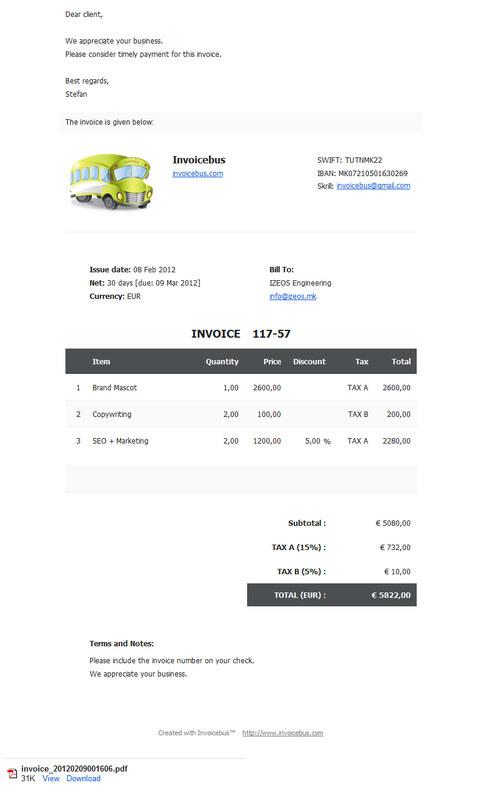 After creating your first invoice, Invoicebus learns all settings by himself and automatically applies them in future. Feel free to try it by yourself and see how it works. Thereafter, leave a comment of how much time you needed to make your first invoice. We would be happy to hear from you. One of the most interesting stories told about some company are those about their start and beginnings. This probably should have been the first blog post on Invoicebus Garage, because here we are going to introduce ourselves and tell the story of how it all began. The Invoicebus Leadership Team is a duo of IT experts who pour their passion for inventing, creating, programming and designing into a product they’ve called Invoicebus. Education: Bachelor’s degree in computer science and engineering. He said: The virtue of simplicity is not only into the simple matter itself. It’s also into the capability of making the complex appear simple. Trivia: Stefan wrote his first lines of code for calculating square root of a number at the age of 11 in the programming language GW-BASIC. Almost two years later, in the mid-1997, he created his first web site. Since then he’s been passionately peculiar enthusiast for things related to the cloud. Credo: Less software, more focus on purpose. Education: Master’s degree in electical engineering and information technologies. He said: Over time our human nature lean us toward status quo. We have to fight the hypnotic comfort we feel otherwise there will be no progress. Trivia: Dimitar entered in the world of computers through video games in his youth and in college he learned that software design and development is one wonderful art. He tends to bring his crafts and ideas in the wild. Credo: If you can’t make things simple, make them simpler. Stefan and Dimitar met in college during their studies of Informatics at the Faculty of Natural Sciences and Mathematics in Skopje, Macedonia, 2003. Soon thereafter, they realized that are pretty good team, so started working on numerous projects, ideas and concepts together. Invoicebus project began from scratch in October 2010 as a challenge for creating an ultimate web-app that breaks traditional web paradigms and goes beyond today’s web rules. A kind of experiment with genes of a desktop app injected online; a hybrid that use the best of both worlds. 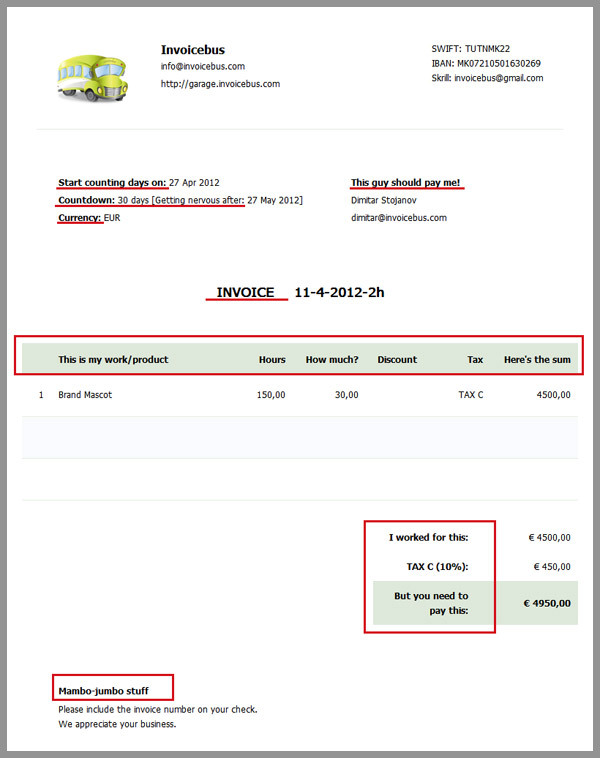 Invoicebus is a single page web-app that we believe is evolution away from the classical page-redraw model for which browsers were originally designed for, thus making their reload and navigation buttons completely obsolete, while providing the users with immense wealth of user interactivity, possibly to a degree never achieved before in online invoicing. We’ve had a notebook full of project ideas and concepts for online businesses; however, in that time we realized that we need online invoicing tool which will comply with our criteria for simplicity, thus we decided to tailor it by our taste, under our roof. Share our way of thinking, our business philosophy and knowledge. Encourage other people to start their own online business. Show that a small enthusiastic team with just a couple of assets can produce well rounded product that could make even bigger companies jealous. Connect with like-minded people from all over the world. Usually, we spend most of the working hours in our office in Skopje, a calm place where we brainstorm new ideas, discuss and write new code, draw mockups and design. However, we are very flexible and mobile, so many times could happen to work from different places, different cities, and sometimes even different countries. That gives us plenty of time for thinking independently and making better decisions. We consider this as one of the greatest benefits in running an online business. When the work starts to hurt, we hire people on demand / per job. Therefore, while we were designing our bus mascot, we requested help from this lady; when we need photos, either we ask help from a photographer like this one or we try to improvise by ourselves (like the photo from the left). What does it take (us) to build an online product? Craziness about details. Pixel to pixel. Byte to byte. Two laptops (the one occasionally baked), one white board and approximately 300 white paper sheets for mockups and notes. Internet connection. Couple of online services. Google. Money for food, transportation and bills. 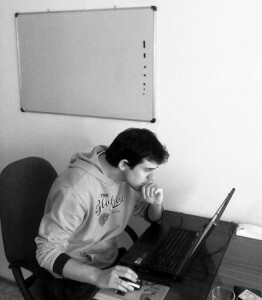 And that was a brief introduction of the team who builds and runs Invoicebus. If you want to read more about our principles, consider reading our manifesto.